Author's note: Prior to our Spring, 2001, telephone interview, I sent the questions to Matas so she could have time to reflect on what she wanted to say. Matas' responses were taped and are transcribed here with minimal editing. ES: Do you have any personal connections to the Holocaust that you use in your stories? CM: When I was growing up, I had no personal connection to the Holocaust. It was stories about my husband's family that first started me writing about the Holocaust, so I guess you could say there are personal connections that started me off on this journey. My husband is from Denmark and his father was twelve years old when Germany invaded Denmark. My husband was working at the Jewish Community Center in Montreal when an exhibit went through on the Holocaust, and he started telling me stories about his father and grandfather, who both ended up in the resistance. It was those stories that inspired me to write Jesper , which is also Code Name: Kris and Kris's War [titles under which the book was published in the United States]. A friend of ours gave us a book called Rescue in Denmark . It was a story I had never heard before. I found it absolutely astonishing that here was the story about the rescue of an entire people, and I thought it was unbelievable that a Jewish person who had gone to university and Hebrew school had never heard, never been told this story. I figured as a well-educated Jewish person, if I didn't know this story, probably 98% of kids in North America probably didn't know the story either. I immediately changed the idea of writing about a boy in the resistance. I decided to write about a girl who is involved in the rescue of the Danish Jews. I went on to write the story I was originally planning to write, which was the story about the boy in the resistance. So that was Lisa's War , and then came Code Name: Kris . It was that personal connection that really did get me started on this topic. I think it was also interesting at the time because I didn't suddenly decide to write historical fiction. It was really the themes that interested me, and they were very similar to themes I had already been writing about. I had written four science fiction books at that point. All the science fiction books had one central theme: that one person can make a difference. I simply thought of these books as stories that illustrated the same theme, so it wasn't that now I decided to write historical fiction. It was an incredible story that needed to be told and it was the kind of thing I wanted to write about expressing those themes. It wasn't until I had written both of those books that I realized I had fallen into another genre and started to think of historical fiction specifically. ES: Why do you return to the Holocaust again and again in your fiction? CM: There are two answers to that. I return to it again and again in my non-Holocaust fiction as well as my Holocaust fiction. Even in my first science fiction book, the character was a Hitler-like figure, even though reading it you would not necessarily think that. I suppose I have been obsessed with the Holocaust all my life because of its incomprehensibility, its vast horror, and growing up Jewish, it had an effect on me. I never consciously wanted to write about the Holocaust. Even the two books on Denmark were not, in my mind, Holocaust books. They don't really deal with the horrors of the Holocaust. They dealt with a much more optimistic part of the Holocaust. I didn't really deal with the Holocaust head on until I wrote Daniel's Story . In terms of why I return again and again to the Holocaust, I would say that's because of Daniel's Story . Having to face it in Daniel's Story really changed many thing for me, perhaps even my whole philosophy. After Daniel's Story, other stories inevitably grew out of that story, and it was really a case of one story leading to another. ES: So you would not call Lisa's War and Code Name: Kris Holocaust novels? You do not think of them that way? CM: I do, but I did not think of them that way when I wrote them. At the time, I thought of them as World War II stories. I did not think of them as historical fiction at all. I just thought of them as stories that I had to tell. I didn't categorize them at all when I was writing them. Now looking back on it I would say, yes, they are Holocaust stories. At the time I was writing them, though, that was not in my head. But when I wrote Daniel's Story , that was sitting down and saying, "I am going to write a Holocaust story." ES: You said that the Holocaust is a subject that obsesses you. Where did that obsession come from? CM: I don't know. I grew up in a house where social justice, doing the right thing, being a good human being were extremely important values and the Holocaust is the antithesis of those values. It just became a constant thing in my life that I know had happened and showed me how horrible the world could be. That was upsetting to me. I was not one of those children that read Holocaust books, or wanted to talk about it. I really wanted to avoid the subject at all costs. ES: How did you learn about it? CM: I don't remember learning about it. I must have learned about it in Hebrew school. They didn't teach about the Holocaust in public school. I belonged to Jewish organizations when I was growing up and I may have learned about it there, but I honestly don't remember when or where. All I do remember is being very upset when I would think about it. ES: What sort of research have you done for your novels? CM: It varies. I've done similar research for all of my novels, except Daniel's Story . What I did for all the rest was I started off with interviews. For the Danish stories, I interviewed resistance fighters. I went to the Danish Club in Winnipeg where they were having an anniversary and people told stories about the war. I introduced myself and told them I was about to write this book and many of the people there invited me to their homes to interview them, so many of the incidents in both of those books come from actual incidents that these people told me about. There are two or three books I read thoroughly on the subject, but mostly that was done through interviews. I had a friend who, at the time, was running the Holocaust Center in Toronto and who would sort of advertise for people who had gone through what I was about to write. I would go to Toronto and interview those people. That was how I did After the War and The Garden , and In My Enemy's House . For Greater Than Angels , I went to New York because the survivors were there. I always start off with some reading, so I will know what questions to ask in the interviews. ES: What kind of reading did you do? CM: Well, for After the War , for example, I just got every book I could find on the illegal immigration to Palestine. I read everything I could find. I might find fifty or sixty books. I don't read them all, but I'll find a chapter here and there that really helps. There are usually three or four books that end up being really important. I go to the library and go online and find everything I can on the subject. ES: What about using primary source documents? CM: For Greater Than Angels , I went to the Holocaust Museum in Washington, D.C. and used their primary sources. Of course, I consider my interviews to be primary sources as well. Otherwise, the resources are secondary. I also try to do as much visual research as I can. For After the War , there were actual videos made of people crossing the Alps and going to Palestine by ship. You can find videos of some of these things. There are videos of people living in the Lodz Ghetto. Photographs are also very important. I do visual research so that I am accurate about how they look and how they dress. I try to get as much visual material as I can. ES: Have you visited any of the concentration or death camps you depict in your stories? CM: No, I have not. All of my research on those places has been done through books, photographs, and videos.... I'm still not sure that I could handle [visiting those places]. I still find it so distressing. I'm not so interested in physicality in my writing. It doesn't interest me as reader or a writer. It would give me a sense of place, but I don't like to write about place. It doesn't interest me. I like to write about the characters and their conversations. It's not like those places are the same now anyway. I did go to Denmark, but I don't think you could tell from reading those books if I had gone there or not. ES: Are any of your characters based upon real people? CM: No. I find the interviews I have done are very important. The interviews give me a sense of what the people were feeling, what they really went through, so although none of the characters is based upon anyone real person, I feel like the emotion in the book is based upon what I have gathered in the interviews. In a book like After the War , for instance, I first envisioned an optimistic young girl going off to Palestine to help build Israel. She's spunky and idealistic. Then I did all the interviews. When I sat down and started writing about that character, it was completely different from how I had originally seen her. My books really change from when I first envision them to when I start writing them, and it's almost always because of the interviews I do. Sometimes it's very specific. In Greater Than Angels , I thought it was going to be about a French girl but it turned it that all of the people I interviewed were German. They were German people who ended up in France who had a very specific story, so I ended up telling their story. The interviews can affect the whole tone of the story. ES: You wrote Daniel's Story to be published in conjunction with an exhibit at the United States Holocaust Memorial Museum. Can you explain how that project came about? CM: They [the publisher] called me in March, 1992, and they wanted a finished book by July so they could publish it by the next spring. They asked me to do it because of Lisa's War and Jesper . 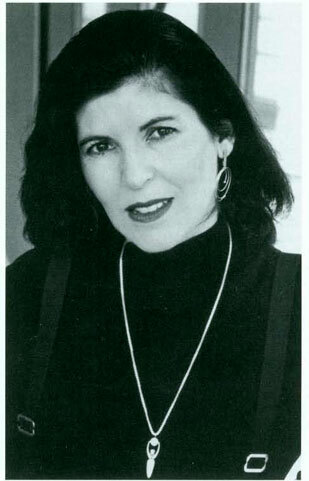 My editor at the time, Beverly Horowitz at Bantam, suggested me for the project. I did Sworn Enemies with her. For some reason, the Museum and Bantam could not come to an agreement so the Museum moved the project over to Scholastic. Scholastic had just bought Lisa's War and Kris's War , so they wanted to keep me with the project. They flew me out to meet with the three different parties involved with the project. There was Daniel Weiss, the packager of the project, the Museum, and Scholastic. They said they wanted the book done in three months. I had figured that the Museum would send me home with tons of materials to work with, but they didn't. They just said go home and write the book. What they wanted was a book that complemented their exhibit. The exhibit was almost finished when they asked me to write the book, but they did not want the book to be based upon the exhibit. It's actually quite humorous because when the reviews of the book came out, it was described as a novelization of the exhibit, which it is not. That was in the United States. In Canada, the reviewers thought the exhibit was based on my book, which I found very funny. It is neither. The truth is that there is the exhibit and the book and they do have the same title, which is what the Museum wanted, but there is nothing similar about them, except that they wanted Daniel to follow the same path in the book that he follows in the exhibit. He starts off in Germany, but it was my decision where. He then has to go to the Lodz Ghetto, then to Auschwitz, and then to Buchenwald, and he has to survive. But I could create the family and decide who of the family lives and dies. That was all they told me. The rest of the story was up to me. So, I then had to work backwards and had to find out which towns sent people to the Lodz Ghetto. I chose Frankfurt, which had a large Jewish community, and one that I could get a good understanding of in terms of the history. In fact, there are a couple of things in the exhibit the Museum took from my book. After I wrote the book, the Museum called and said they liked that I had made the mother a baker in the Ghetto and asked if they could use it. I said they could. The structure of the family they borrowed from the book. Of course, I am not acknowledged on the exhibit and Winnipeggers are very upset about this. When Winnipeggers go see they exhibit, they come back and call me or my mother and ask why my name is not up there. ES: There are few Holocaust novels, especially for young people, that depict what life was like for survivors in the aftermath. In After the War , you tell the story of a small group of survivors trying to make their way to Palestine. Why do you think it's important to give attention to this often-overlooked dimension of the Holocaust? CM: I think about it in slightly different terms. When I write a book there are always two things I want to do—there's a theme that I want to explore, and I want to write about something really interesting and exciting for the children to read, and that's usually something that's never been written about before. I think that's what contributes to their interest in reading about it. They haven't already read about this subject a million times. In the case of After the War , I wanted to explore the idea of how you live after you have survived. Is it possible to actually continue after you have seen and experienced so many horrors? I could have set a survivor story anywhere—in the U.S. or Canada. I turned on the TV one day and saw a documentary on the illegal immigration to Palestine and realized what a really amazing story it was. When I interviewed people, I told them I wanted them to talk about what happened after the war, but they inevitably talked about what happened during the war, and then conclude with "Then I went to Palestine," and I would say, "No, no, that's what I want to hear about." No one had asked them to tell that story, and it has paled beside what happened to them during the war, so I really had to get very good at my interviewing technique to get them to tell those stories, to help people remember. You can see that it really affected the book because I hadn't planned to have those flashbacks about the war, but it became such an integral part of the interviews. Everybody who told me about what happened afterwards also told me about what happened during the war. I soon realized that you could not do one without the other. They had never left behind those memories. Their memories were with them every second. ES: The Garden is a sequel to After the War . Why did you feel the need to continue Ruth's story? Those stories are just full of opportunities for the characters to wrestle with themselves and the choices they have to make. All of my books focus on that theme. CM: Again, it was a story that had not been told. There was almost nothing written for adults or children about what was called the "undeclared war." They are compelling stories about the choices that we make. Those stories are just full of opportunities for the characters to wrestle with themselves and the choices they have to make. All of my books focus on that theme. ES: There are a lot of great stories of "Righteous Gentiles" who helped Jews during the Holocaust, but Le Chambon-sur-Lignon is not one of the better known ones. What inspired you to tell the story of that village in Greater Than Angels? CM: I first heard about it once when I was giving a talk on Denmark. I went to St. Paul for an interfaith conference and was asked to give a speech about why the Danes saved the Jews. I gave that speech and after mine, someone got up and talked about the righteous gentiles of Le Chambon. The story stayed with me. It was a number of years later that I saw an exhibit on Le Chambon at the museum and wanted to write about it. ES: In your most recent Holocaust novel, In My Enemy's House , you convey the brutality and horrors of the Holocaust more vividly than you do in your other novels. What was it about this story that led you to bring out more detail? CM: I think of In My Enemy's House as my best of them all, and I don't know why it turned out that way. I think it does capture why and how it could have happened. Setting it in Germany in this German family makes it very vivid. So many people think it was just a bunch of thugs, a few people, and of course it wasn't. It couldn't have happened without the complicity of the German nation as a whole. It was a few people who objected and were murdered for it in the concentration camps. The general population was complicit and that is very horrible. I think that's why you feel the horror of the story. You get to know the people committing the brutality. Marisa is working with these people, dealing with them up close. They are not faceless. They are real people doing these things. ES: What do you hope readers will get out of reading your Holocaust stories? CM: I hope that readers will think about the choices they make. In Lisa's War , you have a story about an entire country that chose to help the Jews and inside that story you have all the choices that Lisa has to make. Sometimes we look back at history and get blase about it and say that was inevitable. In In My Enemy's House , I try to show how it was not inevitable, that the choices people made are responsible for the death of six million people. I don't think anything is inevitable. Every single choice we make is important. When I talk to children, I say often to them, "I hope that people will just think about these things." I don't want to tell them what to think. I want them to think for themselves. The problem with Nazi Germany was people did not think for themselves. They let the state do their thinking for them. ES: What kinds of responses do you receive from readers of your Holocaust novels? CM: Children almost always write me a letter that begins with, "Thank you." They thank me for writing a book that can make them feel what it must have been was like to live in that time or to have been there. They often go on to say we have to be sure that nothing like this ever happens again. They tell me which parts they like, which make them sad. The wonderful thing is that the kids will always see hope in the book, whereas the adults usually do not. Kids always see that. They pick up on the love and the small miracles that happen in the story. I got one letter from a girl who got depressed because it seemed to her like Greater Than Angels wasn't finished. She was really upset because she didn't know what happened to everyone and she's right because I was thinking about writing a sequel. I'd like Anna to come back because I want to write a book about the French resistance. I thought she was very clever. She knew there was more and she was frustrated because she didn't know what it was. Mostly, I try to wrap things up enough so readers are not left hanging. I get a lot of mail and it's all really, really positive. ES: What is the typical age group of readers who write letters to you? CM: I guess grades 5 through grades 8 or 9 are who is writing the most. ES: Do you plan to write more Holocaust fiction? CM: I actually do have one in mind. I would really like to write about the resistance. There hasn't been enough written about the fact that Jews fought back. They are always the victims. I'd like to write a story where they are not. They were fighting too, and you get a little bit of that in Lisa's War . There are a lot of amazing stories. Photo used with permission of Simon and Schuster Children s Publishers.